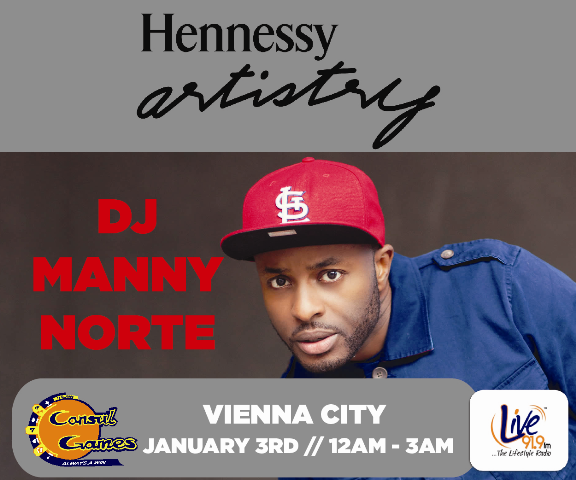 Hennessy Artistry week-long Club Tour with UK based DJ Manny Norté which commenced on December 28 finally comes to an end tonight with parties at two venues in the capital. Santoku which is located inside the Villagio Apartment, Airport will be DJ Manny’s first stop. He will be there from 8pm to 11pm. He will then move the party to Vienna City at Kwame Nkrumah Circle from 12am to 3am. At each of the two venues, he will dish out great tunes which made the likes of Jay Z, Beyonce, Nas and the rest of the Hip Hop artistes fall on him whenever they were in the UK for shows. Hennessy Artistry continues to deliver the best of entertainment the world over. It’s relationship with the world’s known celebrity faces and names is significant in many ways, and speaks of the brand’s connection with their consumers. 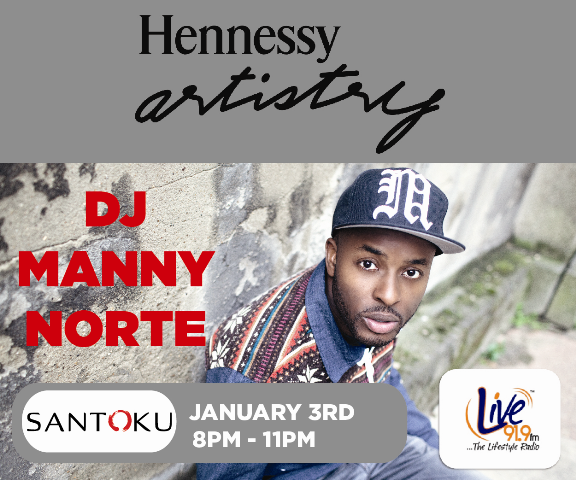 Hennessy Artistry Club Tour with DJ Manny Norté ends tonight at Santoku & Vienna City 0 out of 5 based on 0 ratings. 0 user reviews.